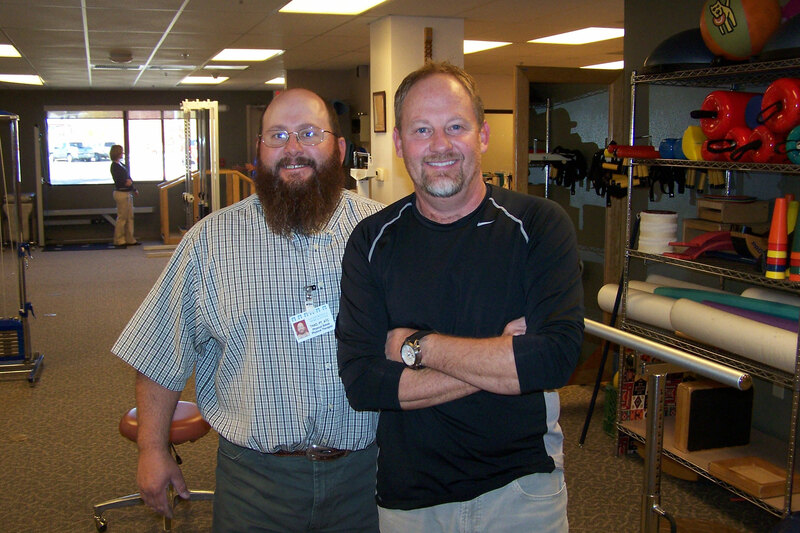 To date I have had two dozen physical therapy sessions for a broken ankle. My PT is a guy named Thadd. He has been an excellent help to get me back into action sooner than If I would have left the ankle alone. The biggest challenge seems to be range of motion and strength to lift and manuver. I am really thankful for my new best friend Thadd. I am back to about 80% on my mountain bike. Still on platform peddles. AOL – (Acts Of Love) reaching, teaching, touching. During these times of economic meltdowns, it could be so easy to feel bad or become discouraged. I found out today that there is a way to fight the blues. Here are a few photos of today’s launch of our food and clothing ministry. The team prepares to serve. I love this picture of our seniors serving. Brenda welcomes a mother and daughter. The AOL ministry is just beginning. I will update on this blog s to our progress. 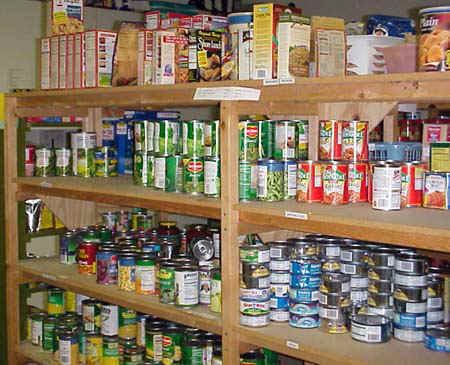 On Thursday morning we start up our new food bank ministry to needy families. 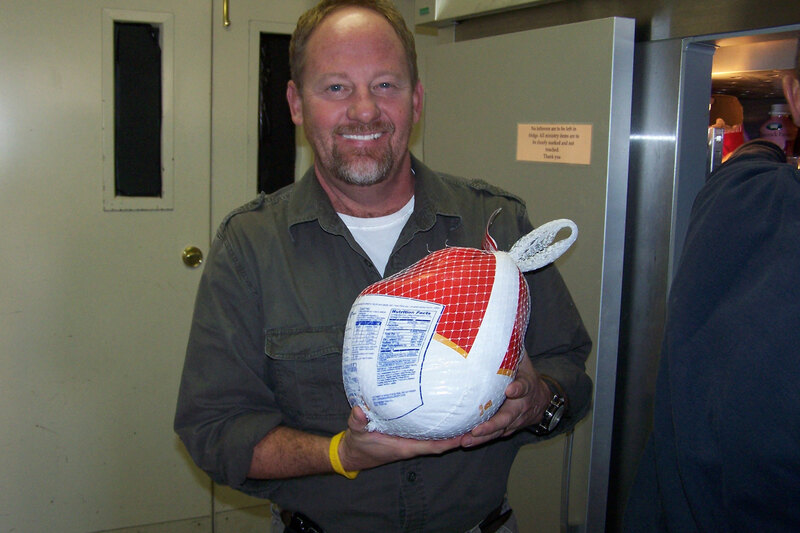 I’m really looking forward to helping serve families in our community and watching God bless them through our hands. Christ has called us to begin at home with the message of His love. As Christians, we can fulfill that call personally, in small groups, and as a church. As you look for areas to begin practicing Acts Of Love (AOL), consider starting in your neighborhood and/or apartment complex. This will involve you or your small group intentionally surveying your area and developing AOL steps. Jesus said “the Kingdom of God is at hand“…I think what he was trying tell us is that the Kingdom of God is not just in another country but in reality it is just a hands length away from each one of us. The Kingdom of God is at the end of each of our hands. 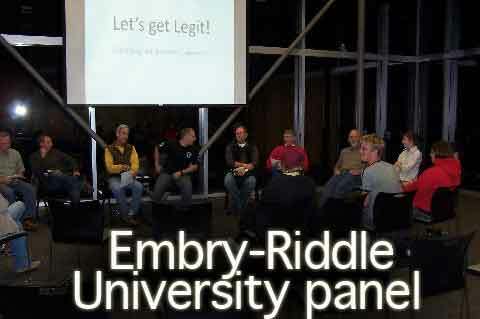 Last night we had our Let’s Get Legit part two session at Embry-Riddle University here in Prescott. What a great conversation and dialog around questions of divinity and God. Here is a picture of our panel and below are the questions students submitted for the panel to discuss. QUESTIONS SUBMITTED BY THE STUDENTS. 2. Is it ok to try out or experiment with different religions? 3. My parents are very religious..I feel like that have taught me to be that way…but I feel like my thoughts and opinions conflict with their beliefs…do I have to go to the same church as them? 4. How do we know that the Bible is real and true? 5. What are the differences between evolutionism and creationism. How do these support the Bible, or do they? 7. God created everything. So, if He did, that means that He created all of the religions in the world, right? I really love being able to be legitimately authentic on the university campus… the interaction with the students is amazing. Our next session will be in the late winter or early spring. We will be showing the movie “expelled” at ERAU in the next month. I am in week 21 since my right ankle was broken on trail 396 here in Prescott and wanted to give a short update as to the progress thus far. On a Saturday June 28th at 9:00 in the morning life changed for me. So last Saturday I wanted to do a victory lap back on the same trail that taught me some lessons as well as changed my entire summer. 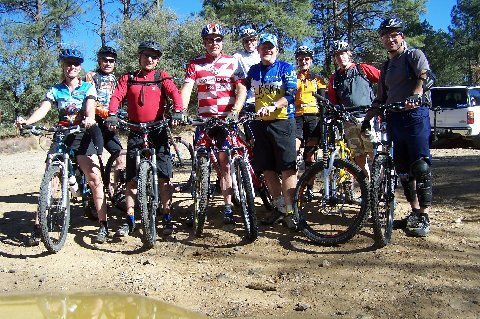 This is a photo of the group that road with me this past Saturday. In all we ended up with 12 riders by the end of the 10 mile trip. It is great to be back on the trails again with friends. I started into my 21st physical therapy session this morning. My physical terrorist says my progress is much improved. 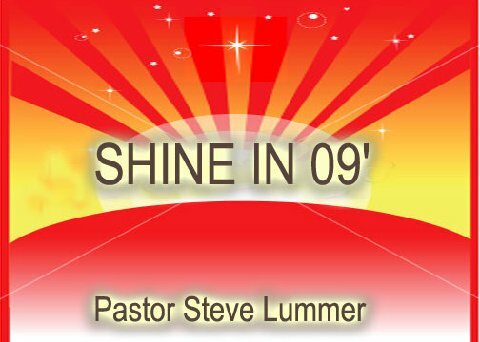 Really looking forward to delivering this message this Sunday to the church on volunteerism. There is an interesting story about he Six Day War – Syria Occupied the Golan Heights that is situated up on a mountain that looks down over the sea of Galilee and the Syrians could just look down and pick the Israelis off with ease. up until the six day war …. Israel is a nation of citizen soldiers. Every able-bodied man and woman must complete three years of full-time military service, after which time they become reservists serving one month a year in the military until age 50. In a country of only six million or so, it is an enormous drain on the economy each time a reservist is called up from the private sector to serve in the military. At the beginning of Israel’s military incursion into the West Bank two months ago, 20,000 reservists were called up. In the U.S., that is the equivalent of almost 1,100,000 being called. If a few hundred noncombatant volunteers can do the work of a few hundred reservists, the country has a lot to gain economically. In the time of war every villager is a volunteer…in a time of war ….every able bodied man up to the age of 55 is inlisted in Israel’s army. 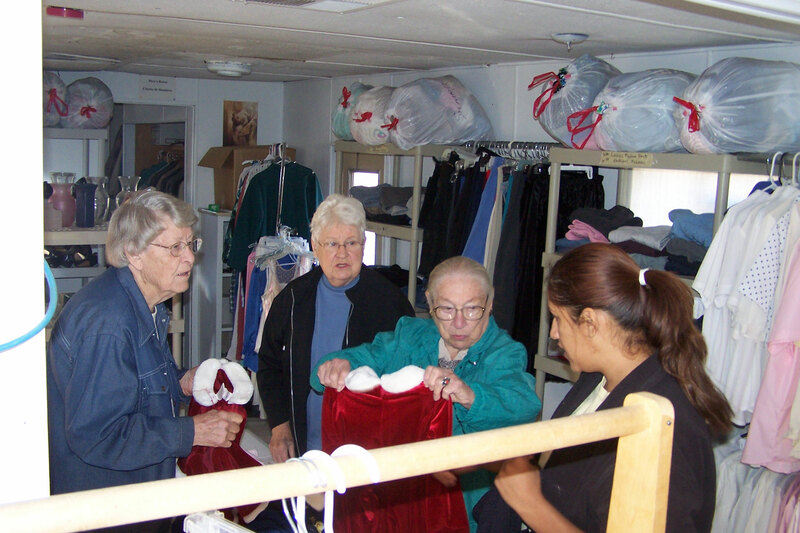 Everyone is inlisted…everyone is involved …..They have a volunteer spirit. Every body fights in the battle….every person is a passionate patriot! This week we open up our food bank ministry to the community and tonight we introduce to our college group our servant evangelism strategy. Just thought I would share a great book I’m reading right now. 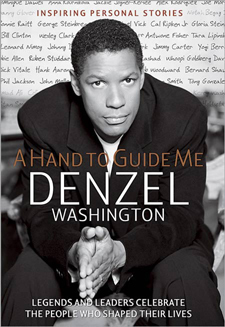 Denzel Washington tapped into an impressive collection of contributors for this book, including Presidents Clinton and Carter, Baseball Hall of Famers Hank Aaron and Yogi Berra, NBA Coach Phil Jackson, American Idol Ruben Studdard, Muhammad Ali, to name a few. The idea behind the book was to have each person share a refection about a mentor who meant a lot to them. “That’s the underlying message in these pages, that you can draw a line from every great success back to some rock-solid foundation. A parent. A teacher. A coach. A role model. It all starts somewhere.